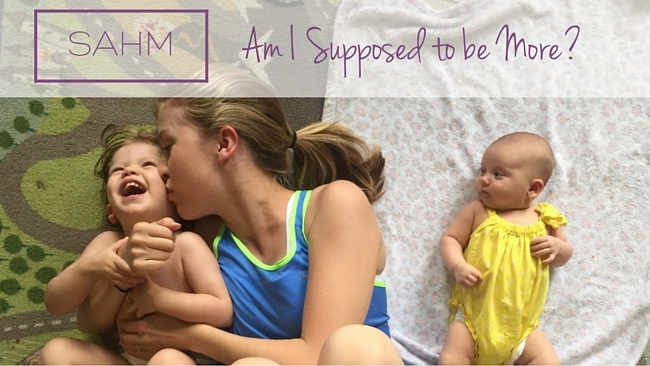 SAHM: Am I Supposed to be More? I’ve been a stay-at-home mom for three years now, and I’ve never felt the need to apologize or explain myself to anyone… except my parents. They’ve always been 100% supportive of my decision not to work outside the home, but a part of me can’t help but feel like this isn’t what they raised me to be. See, my parents truly instilled in me the idea that I could be anything I wanted to be. Whatever my latest interest was, they enrolled me in lessons and camps to help me learn more and explore my skills. They poured an incredible amount of time, money and energy into diverse life experiences to broaden my horizons and give me a taste of what the world had to offer and what I could offer back. College was ALWAYS the plan. I went to an expensive private university where I studied marketing and psychology. Beyond tuition assistance (and ever essential grocery trips), my parents proofread my papers, helped me put together applications, and were my first call when I was stressed out and needed a sounding board. I wouldn’t have made it through without their unwavering support. So here I am six years later spending my days changing diapers and sweeping smashed Cheerios off the floor. YES, being a stay-at-home mom is so much more than that, but is this what my parents envisioned when they watched me walk across the stage at commencement? Somehow I highly doubt it. But here’s the best part: Even though the plan may have changed, they’ve never made me feel like this life choice is inferior to climbing the corporate ladder. Even more importantly, they don’t believe my education is a waste. They value me and my work. 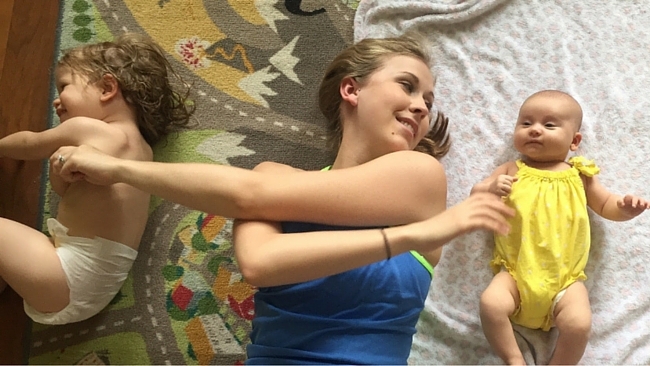 I can be ANYTHING – and that includes a mom. It’s hard not to cringe when I think about the sacrifices they’ve made on my behalf over the last 28 years, but I also know that my two beautiful daughters, my family, my friends, my church, and my community are reaping the benefits of everything my parents built me to be. And I think that’s more than enough.